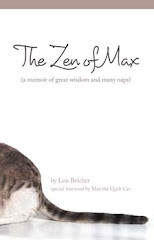 A poetry book in English and Spanish with inspirational poems and funny anecdotes. 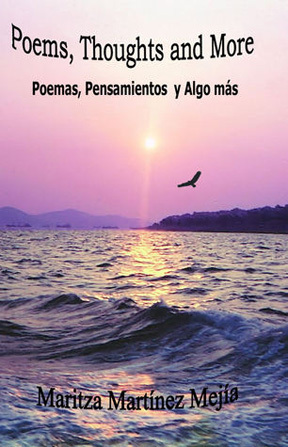 Poemas, Pensamientos y Algo Más es un libro de poesía bilingüe con jocosas anécdotas. Mother, educator, bilingual author and translator. Recipient of the Crystal Apple Award 2006, VCB Poetry Winner 2015, Author’s Talk Book Award 2016, and The Latino Book Awards 2016. Graduated from Colegio Mayor de Cundinamarca in Commerce and Foreign Language and obtained a Bachelor’s Degree in Humanities and Women’s Studies from Florida Atlantic University. Maritza writes to inspire others to be better persons. Maritza Martinez Mejia will be signing copies of her book at the Meet the Authors Book Fair in the Eau Gallie Community Center in the Eau Gallie Arts District, Melbourne, Florida, on November 18 and 19, 2017.